As a potential successor to the popular SharePoint Team Sites, Office 365 Groups is the root of Microsoft’s more recent aim to bring “experiences” to the Office 365 platform – instead of just focusing on individual technologies. Given the amount of different functionality already available within Office 365 – from word processing to business intelligence to project management – further connectivity between tools would offer users an even greater working environment than at present. And yet, Office 365 Groups has so far flown somewhat under the radar for many users. You may be wondering the reasoning behind the introduction of Groups, given the popularity and capability of SharePoint Team Sites (and even things like Yammer Groups, which we will look at later). However, in the words of Henry Ford, “keeping together is progress; working together is success”, and therein lies Microsoft’s reasoning behind Office 365 Groups. Office 365, as Microsoft’s ‘home in the cloud’, is a platform that’s constantly improving, and the enterprise tech giant found that despite acting as a repository for all your work-based tools, the tools themselves were somewhat detached from each other. You can get a sense of this from the tiles in the Office 365 ‘My Apps’ screen – it’s all there for you: your email, calendar, notes, files and more. But it’s not really connected. You can move from one to the other extremely quickly, but you’ll still be flitting in and out of processes. Like the straight edges of the tiles themselves; while in close proximity of one another, there’s nothing really bringing them together. For example, Outlook and OneDrive are great for storing all your conversations and files, but what about conversations about files? Groups looks to change that; the apps become more like the pieces of a jigsaw, interlocking to give teams a more cohesive and complete Office 365 experience. From within Outlook, you can create a new Group, which in turn creates a shared inbox, calendar, file repository and notebook to converse and collaborate in. Meanwhile, creating a new Group creates an object in Azure Active Directory, meaning policies and permissions can be applied for the whole Group. Those already familiar with the Office 365 platform will understand the likes of Calendar, OneDrive and OneNote, and the primary functionalities of each will be present in created Groups, with a few extra features added in. Let’s say you’ve created a new Group for an internal product team who are working on something new. A shared email is used between all members of the group, allowing anyone to initiate a new conversation that others can add to. From within Outlook (desktop or web app), users can view messages, share files and stay up to date with each other and all areas regarding a project. The addition of the Outlook Groups mobile app extends this productivity to outside the office, too. An improvement over the SharePoint calendar used with Team Sites, Office 365 Groups leverages the Outlook calendar and its wider range of capabilities – integration with Skype for Business being one of the most substantial. This allows you to organise calls with colleagues and host online meetings from within Outlook. The popular among you – included in multiple different Groups – are able to overlay additional calendars on top of your own to easily view potential conflicts and prioritise accordingly. OneNote spearheaded Microsoft’s efforts for seamless online co-authoring and still remains one of the best methods for high-speed simultaneous collaboration. When it comes to Office 365 Groups, members are all added to a dedicated OneNote notebook which can house all important information, follow-ups, minutes etc. For most teams, working effectively together on files – in the form of Word documents, spreadsheets or presentation slides – was at the heart of SharePoint Team Sites and will be at the heart of their collaboration efforts. Files supplies users with a centralised repository for the fast uploading, sharing and editing of documents. Those of you who have previously used Yammer Groups may be experiencing a slight feeling of déjà vu, and with fair reason. 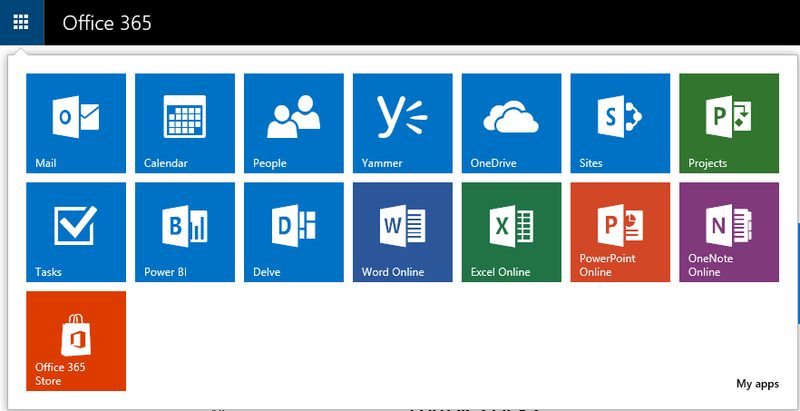 Office 365 Groups took a lot of inspiration from Yammer Groups, but there are still a few noticeable differences. While Yammer’s attention is more towards the social enterprise experience, Office 365 Groups allow you to choose the vehicle for your conversations. Per the needs of your team, you can decide on the ideal conversation experience and decide which interface to work with. If your teams are comfortable working within Outlook and are content with the functionality we discussed above, then ‘Groups in Outlook’ will provide you with all the collaboration efforts you require. The other option, ‘Groups for Yammer’, offers both public and private conversations, using online chat and a commenting system more akin to social media sites such as Facebook. SharePoint files are accessible from the Yammer interface and the shared calendar is powered through Exchange for more calendar overlays, along with some other differences. This article from Microsoft MVP and Yammer pro Naomi Moneypenny goes into some more detail on the experiences you can expect from both Office 365 Groups and Yammer Groups. Adding Yammer to the list of integrated tools, Office 365 Groups has made a considerable impact on how users can continue their improved productivity efforts when part of a dedicated team – whether it’s composing emails, writing documents or scheduling meetings.